Deborah - Is Patriarchy the Best for Society? What's so bad about patriarchy? war came to the gates of the walled city. where Sisera's army would be defeated. to the battlefield with him. 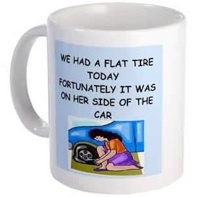 Deborah was not pleased with this overturning of the patriarchal order. she would not have chided Barak in this way. gathered his nine hundred iron chariots and his men to the Kishon River. Lord has given Sisera into your hands. The Lord has gone ahead of you." the tent should she be asked. The exhausted Sisera fell soundly asleep. the tent peg though his temple into the ground and he died. Barak, would get the honor for the battle was fulfilled. At the time that Deborah was a judge there was no monarchy in Israel. were not to teach men or rule over men. Evidently, many women of the 60's had had very bad experiences with men. book Women who Make the World Worse and Mary Pride's The Way Home. 3:16) Even Christ stated that in any situation there cannot be two masters. submit to their husbands in everything...the wife must respect her husband." Husbands are to be considerate to wives and treat them with respect as well. "Fathers, do not embitter your children or they will become discouraged." Colossians 3:21 "Husbands, love your wives and do not be harsh with them." such an oddity in Israel's history? 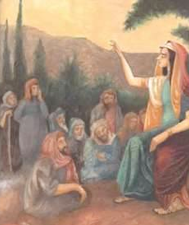 prophetesses in the Bible. What was a prophetess? 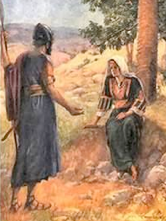 What prophecy did Deborah make to Barak? 5. Why do you think Barak wanted Deborah to go to the battle with him? 6. How did God intervene in the battle against Sisera? 7. How did a woman get the honor for the battle being won that day? alphabet, and feminists are urged to worship the goddess, not a male deity. Do you think a movement against patriarchy can turn people to idolatry? NOW (National Organization of Women) in 1966, changed our society? 12. Why do you think God ordered that fathers be the leaders in the home? 14. How important is it for a man to be the spiritual leader in the family? Contrast that to the homes that have no faithful father figure at all. 15. Do you think men or women would be more depressed about not having children? Check out this link about it. No kids? women going to battle in our modern military? day which is much like America today? hero is the one who kills the enemies' leader." 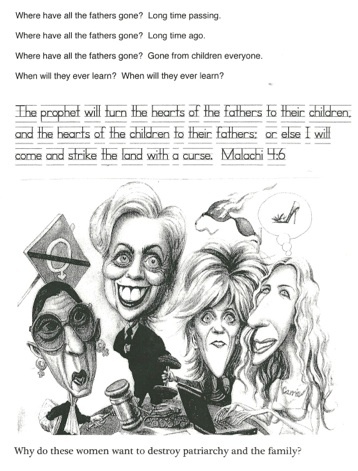 head coverings, long hair, and verse 16.
does this fit in with some women in the Bible being called a "prophetess"? mentioned instead of the others? 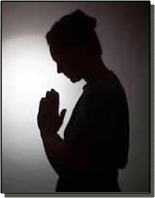 Patriarchy -- the idea that men are to be the heads of households, churches, and other institutions -- is taught in the three most influential world religions - Christianity, Islam, and Judaism. When men are no longer given this place, they tend to lose their self-respect and have little incentive to provide for or protect women and children. They tend to become abusive and lack the character qualities that would even make them “marriage material.” Of course, religious men without the guidance of the Bible and the Holy Spirit to temper them can become abusive as well. Men of real faith extend a godly love to those under their authority. This Bible story is from Judges, chapters 4 and 5. 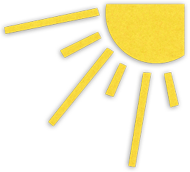 Deborah sat under a palm tree to act as judge for Israel. Deborah summons Barak to fight Israel’s enemy, but Barak doesn’t want to go to battle without Deborah. 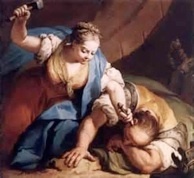 Just as Deborah had prophesied, a woman got credit for winning the battle when she hammered a tent peg through the enemy king’s head. 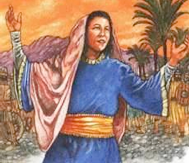 Deborah composed and sang a song of praise to God. A woman must feel loved by her husband --even sacrificially. A woman is to submit to her husband, as to the Lord. A man must feel respected and honored. Love and Respect is a good book that helps marriages. Patriarchy is NOT the same as “male chauvinism” -- the idea that men are superior to women or that they ought to rule women with an iron hand. ...and unfortunately, the feminist movement has made men become the worst male chauvinists, not protective patriarchs who give of themselves sacrificially. Extreme feminists want to worship a goddess instead of the God of the Bible. Responsible and loving fathering can be just as good for the man as for his child.